NOTE: The Android for FreeRunner development now takes place here. See Android usage for brief overview. This page is dedicated to the installation of Android (an Open Handset Alliance Project) on the Neo 1973 and Neo FreeRunner handsets. It is assumed that you have them installed on your system and inside your /usr/bin. If you have installed Qi loader, find on which eth device the FreeRunner is located (for me, it is eth2). You should now have no trouble using adb. Before you install Android on your FreeRunner you should check, using the operating system it came with, that your sim card will register with your network. The version of internal GSM firmware that comes preloaded on the FreeRunner has compatibility issues with a feature on newer sim cards. This effects 3G, o2 sims and possibly others. if you have one of those you will probably need to upgrade your GSM firmware to get the sim to register with the network. Doing that first means you know it's working before you install Android. There are two bootloaders you can use to boot Android; Qi and Uboot. 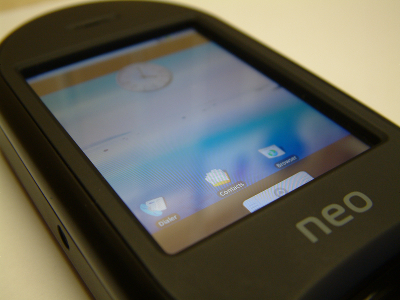 Uboot comes installed on the FreeRunner, Qi is a replacement and is thought to be superior. However there have been, and probably still are, problems when using Qi and Android so Uboot is recommended at this point. NOTE: If you are installing the latest Koolu images to flash, Koolu provides an automatic installation that includes the Qi bootloader. You can safely ignore the rest of this section, as your bootloader will be configured automatically. Because Qi tries to boot from the first three partitions of SD Card. If Qi finds a kernel there it start the kernel if there is any ext2 / 3 partition on there in the folder /boot e.g. Qi will try to boot it and use that partition as the rootfs. If none of the first three SD partitions have the kernel file, it will boot from the NAND kernel partition as usual. Problem: After copy and pasting the commands mentioned above to modify the UBoot environment the prompt hangs up after the first backslash "\". Work around: install the kernel-image and Android-image with 1.9MB from Michael Trimarchi. The above Problem: appears to be an issue with pasting too quickly. Trying copying and pasting one thing at a time. see Android usage or http://code.google.com/p/android-on-freerunner/wiki/GetIt. Preparing the SD Card with two primary partitions is necessary for manually installing Android. The Micro SD Card in your FreeRunner needs to be configured with two 2 primary partitions before Android will boot. First a VFAT/MSDOS (16 or 32) which acts as the '/sdcard' storage area (for pictures, movies, music, etc). Second an ext3 primary partition which Android uses as '/data' with in which it stores settings, caches, etc. Now, as root, use 'fdisk' to partition the device. Pressing 'p' will show you the current partitions on the SD Card 'd' will delete them and 'n' will create a new one. Create a primary partition for your media. Then another primary partition for Android to store its data on. Now all that's left to do is format the partitions with the appropriate filesystem But first hit 'w' in fdisk to write the changes to the SD Card. That's it, you can now remove the SD card from your desktop. If you re-insert it you will have two new usb disk devices. NOTE: After Android has booted you will only be able to access the 'data' partition as root. There is no need to populate the ext3 partition at all. The VFAT partition can be populated with media content (ring tones etc.) if you so desire. NOTE: It can be worth reformatting the data partition when you upgrade the Android OS on your phone. Old settings can result in problems, wifi for example. But remember that formatting the Data partition will result in your preferences, text messages and contacts etc. being erased. The SD card can be formatted from within an existing 2008.x installation on your FreeRunner. SSH as root into the FreeRunner and use 'fdisk' to partition the device. After this create the partitions as described in the step above. Then kill all the processes that were using the card and try formatting again. There are no open source or free partition editors on Windows or Mac that can manage an ext3 partition. If you do not have Linux installed you can use the GParted bootable CD. This CD will boot into a graphical environment with which you can partition your SD Card. You may have to boot with the SD Card inserted for GParted to recognize it as a drive. Build android from source. See koolu website for directions. Use the first script in this mail (adapt to your filesystem) to stage your android install. copy the contents of this directory on a ext3 partition on your sdcard. add a /boot directory on your sdcard. Install Qi on you NAND flash. You can still boot whatever distro you've got on internal flash using the NOR bootloader. You should try the magic file in /boot to show kernel messages. boot the GTA02, and pray. Although this is not technically part of installing Android it is very useful to have set up. Android Debug Bridge (adb) is a versatile tool that lets you manage the state of a device, in this case, your FreeRunner. Run shell commands on the phone. Copy files from your desktop to the phone and Vice-versa. However if you would just like a very quick getting started guide, read on. You can download a binary from here. Then if you like copy it to /usr/bin (and don't forget to make it executable). First you must boot Android while it is plugged in to a USB port, you can unplug it and re-plug it all you like after that but for the USB connection to work it must be connected at boot time. NOTE: Remember that if you didn't copy adb to /usr/bin you will need to run these commands from the directory you downloaded it too and put ./ in front of adb. But note, that you will only get access to a very little part of the Market's content. The majority of apps is unfortunately missing. But you can also install other market apps like AndroidPIT Appcenter for example. There should be a /sdcard directory on your FreeRunner, for some reason this does not always get created (the command is in the 'init.rc' but does not always work). To create the correct dir on your FreeRunner and so enable your SD card, do the following. # to not work, so use the following line to create the softlinks manually. This page was last modified on 14 July 2011, at 12:44. This page has been accessed 352,471 times.